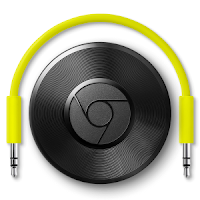 So, Google is offering us new Chromecasts Yes, yes, we all know. Google released some new stuff. Among that stuff, new Chromecasts. I've got a few Chromecasts laying around the house. They're used nearly every day, and they work great. I don't feel a need to replace them, so I wasn't all that excited about the new Chromecast video device. Sure, it looks cool, but that isn't enough to justify throwing away the old ones when they won't add any new functionality for me. The Audio only version, on the other hand, really got my attention. They market this as a device that can plug in to your existing speakers, and give you music anywhere. For me, it's not so much plug in to the speakers, but it's still a crazy interesting idea. Creepy, cool, and missing a killer feature I won't bother going in to Google Maps Timeline. You can either go directly there or you can go here to find out more about it. My issue is that it seems to be missing a killer feature. Notes on timeline places. Sure, you can take pictures on every stop to remind you of what you were doing at a given place. That's all well and good, but I'm on vacation and I've just realized that there are a couple of notes that I'd really like to add to some specific places. Maybe I discovered a new beer (I did) at a pizza place (where I'd like to remember my order), and I didn't happen to snap a pic. Google could even take it a step further and create a Google Keep note with a title of something like "Timeline mm/dd/yy" for easy searching. Feels like a winner to me. You're welcome, Google. You can use the idea. I'll gladly accept a Nexus 6P or a Pixel device as payment.